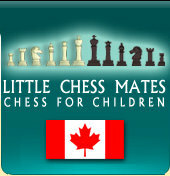 General Info Welcome to Little Chess Mates, a Canadian owned wholesale chess supplier and children's chess educator. Mario Adragna is the driving force behind Little Chess Mates, a children's only chess club. 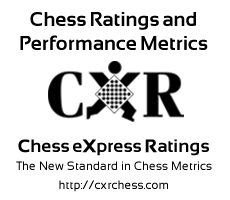 Visit our Chess Store for all your chess needs. www.littlechessmates.com/Store.php Little Chess Mates exists to share our passion for the game and because of our strong belief in the extraordinary benefits it offers children. We have a teaching program that encourages children from ages 4 to 13 to play and learn chess. Our instructors have a wealth of knowledge and experience in teaching children of all ages in one-to-one and group sessions. Chess is fun, instructive, and unleashes creativity. It is considered exercise for the brain and develops mental focus and helps to organize thoughts in the mind. In the schools, chess often serves as a bridge, bringing together children of different ages, races and genders in an activity they can all enjoy. It also has been proven to contribute to academic performance. Some of the benefits of chess are critical thinking, memory, visualization, patience, math skills, listening, concentration, making choices, problem solving, and determination. It also helps develop tactics, self-esteem, poise, humility, sportsmanship, and confidence.